When it comes to drinking, it’s all fun and games until the next morning. Then, the hangover can pack a serious punch. Some people experience severe headaches and nausea that can last all day. For others, a hangover may include their overall body feeling bad and lacking energy. Whatever the symptoms, most of us can agree that hangovers are no fun and we’d love to never have one again. So, it is possible to avoid a head splitting hangover. While there’s no magic cure, you can take some steps in preventing hangovers. Preventing Hangovers: How Can You Avoid It? Of course, the most obvious step for preventing hangovers is to limit your alcohol intake. You’re probably thinking, “well duh, but I want to drink.” However, if you really want to avoid a hangover, the best way to do it is to limit your drinks. For instance, you may want to carry a certain amount of cash, so you know you can only buy a few drinks. Perhaps, you want to set a goal for only having three drinks. Use a tally mark system and mark your hand for each drink you purchase. Just find a system that works for you to know how to limit yourself. By doing so, you can be far more successful in preventing hangovers. During the process of making alcohol, toxic chemical by-products called congenersalso form. These congeners can increase the likelihood that you’ll suffer a hangover. In addition, they can actually make the hangover symptoms more intense and last longer. So, in hopes of preventing hangovers, you may want to stick with alcohol that’s low in congeners. For example, vodka, gin, and rum are all very low in congeners. In fact, vodka contains almost none at all. So, sticking with alcohol that has a low number of congeners can be a good way for preventing hangovers. Dehydration can make hangover symptoms far worse. Since alcohol dehydrates, you’ll more than likely become dehydrated, making the next morning much worse. Therefore, it’s important to fight this by drinking plenty of water. Try mixing in a glass of water after every alcoholic beverage you drink. Not only will this help you stay hydrated, it can reduce the number of alcoholic drinks you have. In addition to drinking water the night of drinking, try to drink plenty the next morning. Your body is still processing the alcohol in your system and water will help. Record Details: What’s Important to My DUI Case? When dealing with a DUI, it can be difficult to remember every single detail. No matter your level of intoxication, going through the motions of a DUI arrest can be quite disorienting. For this reason, it can be incredibly beneficial to record all of the details surrounding the time leading up to, during, and after your stop. By taking the time to record details, you might help your attorney to better fight your case. So, we’re going to help you decide what’s important, and what to write down. Where were you and at what time did you have your last drink? A smart thing to do on your end, is to record when and where you had your last drink. If you have receipts, hold onto them. Try and be specific in your details, and make note of them. Include anything you might have eaten or drank before hitting the road as well. Having a record of your intake can help to show that you are coherent, and also that there were other things besides alcohol going into your system. Make a note of your driving, and be honest about it. Were you swerving? Running off of the road? Were you distracted? Did you drop something and lean over to get it? Keep a record of how fast you were going, what road, your driving, and how long it took for you to pull over after you saw blue lights. Every detail can be helpful to your lawyer. What was the reason for pulling you over? When the officer stops you, and walks to your window, the first thing they should do is to tell you why you were stopped. Did you have a broken tail light? Did you swerve? Speeding? Recount the conversations, actions, and so forth. The more details, will undeniably be better. Another thing to make note of is your appearance and the way you act. If you felt nervous, scared, or confused, be sure to include that. You’ll want to make note of emotions, how you look at the time of your stop, and the way that you spoke with the officer. While it might feel embarrassing to relay to your attorney, they’re on your side here. Any information you share with them is privileged, private, and only helps them to further establish your case. The details can be quite telling when it comes down to it. Writing down those actions, details, and conversations can give your attorney a lot to go on. Not to mention, as time goes by, it can be easy for details to fail you or become muddy. When you record details surrounding the event, you have a reliable source to revisit when you’re in need of clarification. When charged with a felony DWI, the State must prove both impairment and proximate cause. So what does this term really mean? 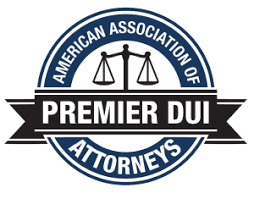 While every DUI starts the same, a felony DWI adds a new defense of proximate cause. In addition to usual defenses, we also address the cause of the accident. For example, we look at how the officer did the investigation and BAC level. But we also look at the accident facts as well. Because you are only guilty of a felony DWI is your impairment causes the accident. Otherwise, only a misdemeanor charge is proper. So what is proximate cause? While law students focus on various definitions, it really is just commonsense. Either your impairment caused the accident and resulting injury or it did not. 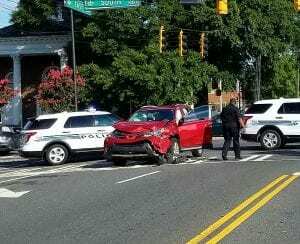 For example, running a red light and crashing in an intersection probably is proximate cause. However, sliding on ice probably is not. In addition, if another driver strikes your vehicle, any impairment would not be an issue. After all, you did not cause the accident, but you can still face a DWI. Even though this may not seem right, it is still better than the alternative. Rather than prison time, most folks prefer to pay a fine and get a limited driving privilege. Whether it be hard rain or ice / snow, this is where the proximate cause issue gets a little harder. For example, if driving too fast for conditions and you lose control, is the impairment or bad weather to blame? As a legal matter, only lawyers are curious. On the other hand, juries are not sensitive to these distinctions. Instead, they will most likely convict you based on the emotions of seriously injured or killed victims. Moreover, innocent victims of drunk drivers are exactly why DUI laws are so harsh. So if you lose your proximate cause Motion, we do not recommend you take your chances at trial. Otherwise, even worse things can happen. Better know when to hold’em and when to fold’em. 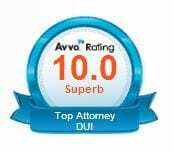 Removing DUI Charges: How Long is This on My Record? A DWI can cause a spike in your insurance cost. This higher premium can last for up to three years. While prices may vary from each representative, they will still give you a higher quote than someone with a clean record. After those three years, your offense should not affect your policy and the cost should go down. A look back period consist of 7 years when your DWI stays on your record for sentencing purposes. In short, this means that during that time, you can get no other drinking and driving offenses. If during that 7 year period you get another DWI, it will count as a second offense. This can mean more severe fines and punishments which most likely will include jail time. Even after your insurance cost goes down and the look back period is over, a DWI stays on your criminal history. That means it will still show up on background checks. For this reason, after 15 years you may wish to have your DWI expunged and file for removing DUI charges. This can take place only if you remained free of other criminal convictions. Once you have your charge expunged it will no longer show up on back ground checks.